If you�re the early adopter type and are looking into owning both the Apple Watch and the Olympus Air, here�s some good news for you: the two gadgets can be combined into one functional camera system. A new app allows the Apple Watch to be used as the live view display and control interface for Olympus� unusual camera. Japanese camera site dc.watch reports that at a recently OPC Hack & Make Gathering hackathon, developer Haruhito Fuji created an Apple Watch app called AirRecipe that controls the Olympus Air A01. You can attach the watch to the back of an Air to add a modular touchscreen, or you can wear the watch on your wrist and control your camera from afar. 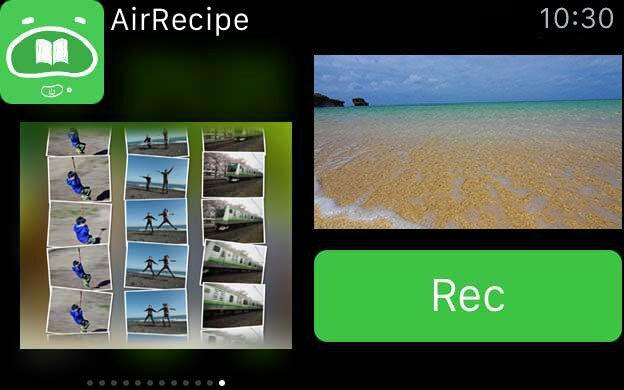 AirRecipies is now available as a free download from the iTunes App Store. When used on the iPhone, the app provides various �recipes� for different types of scenarios (e.g. moon, fireworks) that you can use for one-touch shooting. There�s also a second new app, created by developer Yoshihisa Ogata, called AirLiveView. That one is dedicated to providing a live view on your wrist while you trigger your camera manually using the shutter button on the Air A01. The Olympus Air A01 is arriving in the United States later this month for $299.